And the battle against skin ageing continues. I know, I know, I’m only 27. But you know what they say, it’s never too early to start. This is why I was more than eager to try the new Olay Regenerist Miracle Boost Youth Pre-Essence and Micro-sculpting Cream. Together, the two products form the new #MiracleDuo from one of of the world’s most trusted skin care brands, Olay. The new Olay Regenerist Miracle Boost Youth Pre-Essence is dubbed as “the next breakthrough in skin cell renewal and the latest trend in Asian Skin Care”. It is designed to boost the penetration of anti-aging ingredients of your moisturizer to increase skin cell metabolism and renewal. You see, as we age, our skin cell energy declines, which makes it harder for our skin to produce and maintain radiance, firmness and hydration. Our skin’s ability to fight signs of skin ageing and to absorb anti-ageing treatments deteriorates as well, which is why our skin looks dull, fatigued and dehydrated even after applying countless day and night creams. To fight this, the Miracle Boost Pre-Essence contains Golden Amino Peptide that promises to boost cell energy by 35% to strengthen skin’s inherent young power and to trigger self-collagen production for bouncy, younger looking skin. With the first drop of Pre-Essence, a million surface cells start renewal and as a result, fine lines and wrinkles are reduced, pores are tightened and skin becomes firm. The Miracle Boost Pre-Essence works best when used together with the award-winning Regenerist Micro-sculpting Cream. As I’ve said, Pre-Essence helps the active ingredients of anti-ageing treatments like the Micro-sculpting Cream penetrate deeper into the skin. Together, the two products give twice the amount of key active penetration into the epidermis and promises stunning, youthful skin that looks up to 10 years younger. Here’s how you should use the #MiracleDuo. After cleansing your face, apply the Olay Regenerist Miracale Boost Pre-Essence on your forehead, cheeks, nose and chin. 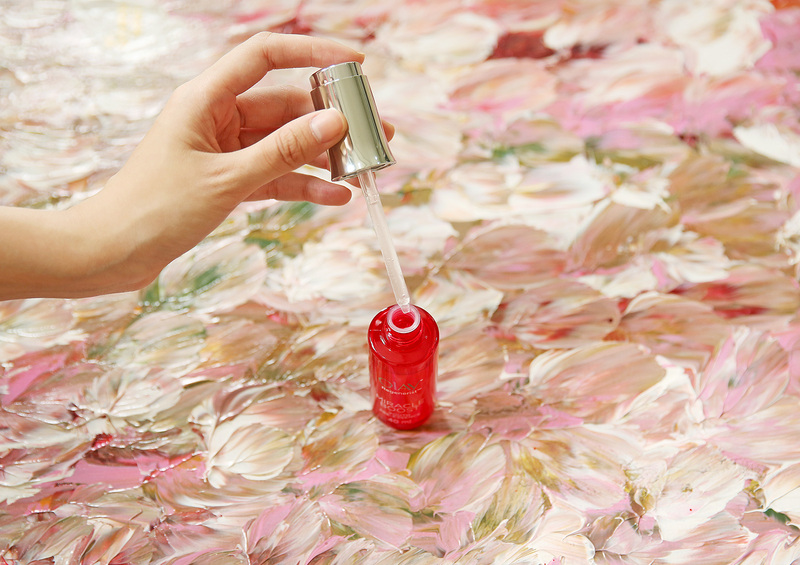 The Pre-Essence comes in a unique auto-dropper packaging so you’re sure that the right amount of the Pre-Essence is delivered in every single application. 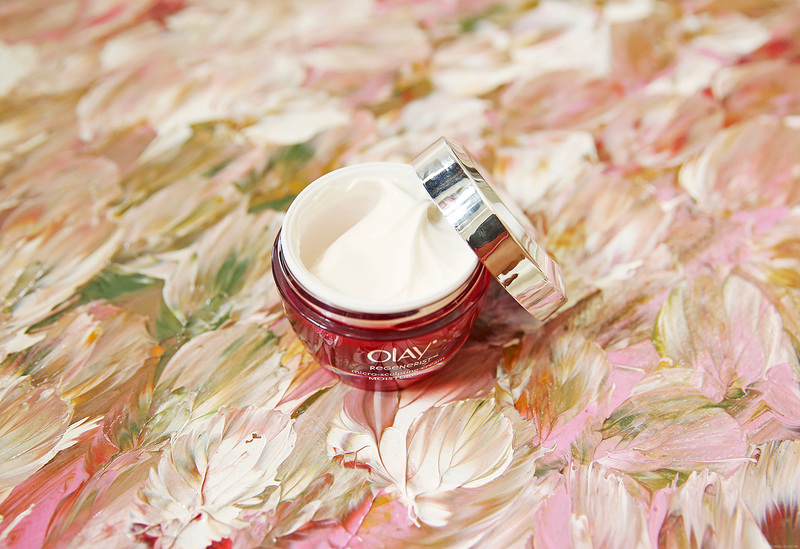 After letting your skin absorb it for a few minutes, apply the Olay Regenerist Microscuipting Cream on the same areas. Do these steps twice a day, every morning after taking a shower and every night before bedtime. I’ve only been using the product for a week but already I feel that my skin is more supple and definitely much more hydrated. Usually my skin looks a bit stressed when I travel as much as I’ve been traveling lately, but so far, so good! Dare I say, my skin is even glowing! The New Olay Regenerist Miracle Boost Youth Pre-essence (SRP: Php1399) is exclusively available at Lazada starting May 2015. Olay Regenerist Microsculpting Cream (SRP: Php1499) is available at Lazada, leading drugstores, department stores, and supermarkets. Make sure to check out www.olay.com.ph, like Olay on Facebook or follow @OlayPhilippines on Twitter and @OlayPhilippines on Instagram for more updates. This is a sponsored article, however review and personal opinions on this post are solely based on my experience with the product/s. hi camz.. I’ve bee using this duo 3 days already. I noticed that my face is peeling. Is it normal? Or is it because of the toner I used? here shouldn’t be any peeling though. Maybe it’s the toner? Hcan i use the night duo with microsculpting serum? How? i used this product for few days now but i noticed my face getting darker and more pimples came out… was it the adverse reaction? will i continue to use it? You shouldn’t be getting darker! Pimples? Must be! Maybe it doesn’t suit you. Olay Regenerist Micro-sculpting line also has its own serum, can it be used with this essence ? If yes, which one should I put on first? I order this miracle duo from Lazada and have started using this morning. I am not supposed to put any on my eye area. I have very obvious fine lines around my eyes. Do you have any olay cream that you can recommend for under eyes? How many weeks or months does the essence last? It’s too pricey but I really wanted to give it a try. I started using olay since I was 30 and I’m 42 now. Believe me, this product is amazing. Can I use these before applying make-up, I mean on a regular basis? I am so excited to try this product…I just ordered my duo at Lazada in discounted price, olay regenerist pre-essence is free when you buy the miracle micro-sculpting cream…. I’m 31 years old and I am so depressed about my skin especially on my face. There are so many fine lines in my forehead, around my eyes and mouth plus pimples and darkspot on my checks…I hope this products works on me….so excited please deliver it ASAP! Ok lang ba gumamit neto 23y/o lang ako. Can i use those products even though i’m only 1o yrs old?